This envelope represents one child who died because of an abortion.It is empty because the life that was taken is now unable to be a part of our world. We will mail the envelopes out March 31st, 2009.Put it in the mail, and send it. Then forward this event to every one of your friends who you think would send one too. 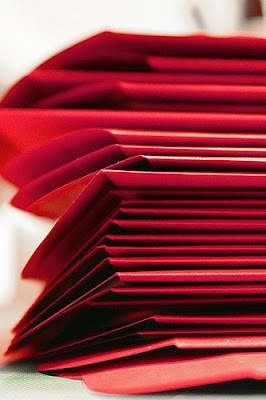 I wish we could send 50 million red envelopes, one for every child who died [in the U.S.] before having a chance to live.It may seem that those who believe abortion is wrong are in a minority. It may seem like we have no voice and it's shameful to even bring it up. Let us show our President and the world that the voices of those of us who do not believe abortion is acceptable are not silent and must be heard.Together we can change the heart of The President and save the lives of millions of children. An empty red envelope will send a message to President Barack Obama that there is moral outrage in this country over this issue [The Freedom of Choice Act, which will essentially “undo” every law currently in place to limit abortion in the U.S. (i.e., parental consent laws, parental notification, waiting periods, prohibition of transporting a minor girl across state lines to obtain an abortion, etc.)]. It will be quiet, but clear.Thank you.